As the sugar trade grew in the American colonies in the early 18th century, so did the production of rum. In those days, the distilling was done in the colonies and in particular, Newport, Rhode Island. By 1769 twenty-two distilleries were operating in Newport and it had established itself as the rum capital of the world. Using black strap molasses, pot stills, and local water these distillers created a flavorful rum that was enjoyed throughout the world. However, the second half of the century proved to be much more difficult for the industry. First, the Sugar Act of 1764 increased the cost of getting sugar and molasses from the Caribbean. Second, as Newport was one of the cities that was occupied by the British during the revolution, many of the merchants that made and traded rum there fled their homes and businesses. Finally, by the turn of the century, settlers had moved west and began to turn their corn and barley in to whiskey which was a much less expensive spirit. By 1817 only two distilleries remained in Newport. Economics, changing tastes, and political turmoil had taken its toll and in 1842, John Whitehorne went bankrupt and the final distillery in Newport closed. Shortly there after, in 1872, Rhode Island’s last distillery, the John Dyer distillery in Providence, shut down. For 135 years the once thriving Rhode Island distilling industry lay dormant. Finally, in 2007, Newport Distilling Company received the first license to distill in the state since the close of the John Dyer distillery. 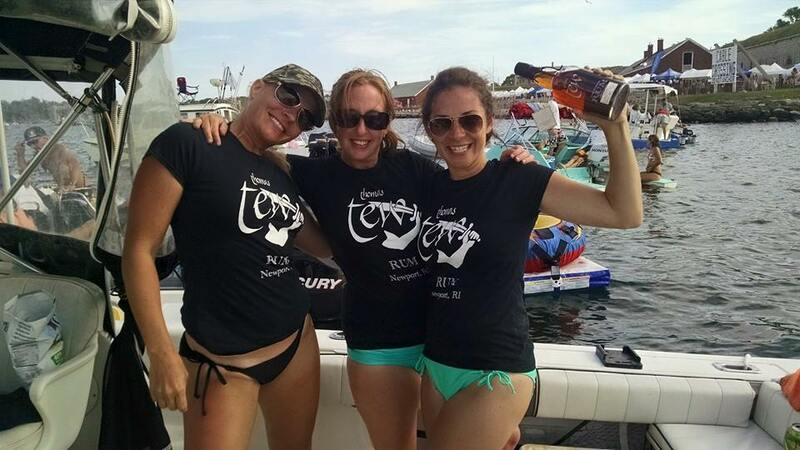 Naturally, the goal is to recreate the rum that had been world famous 250 years ago. Using the same blackstrap molasses, local water, and pot still techniques, this rum has been resurrected and is now called Thomas Tew. 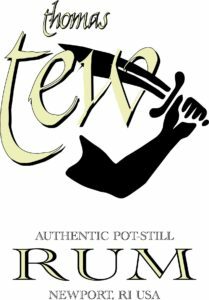 In 2006 Newport Distilling Co. became the first licensed distillery in Rhode Island in 135 years, resurrecting the rum of the 18th century, now called Thomas Tew, after the Rhode Island Pirate and resident of Newport. 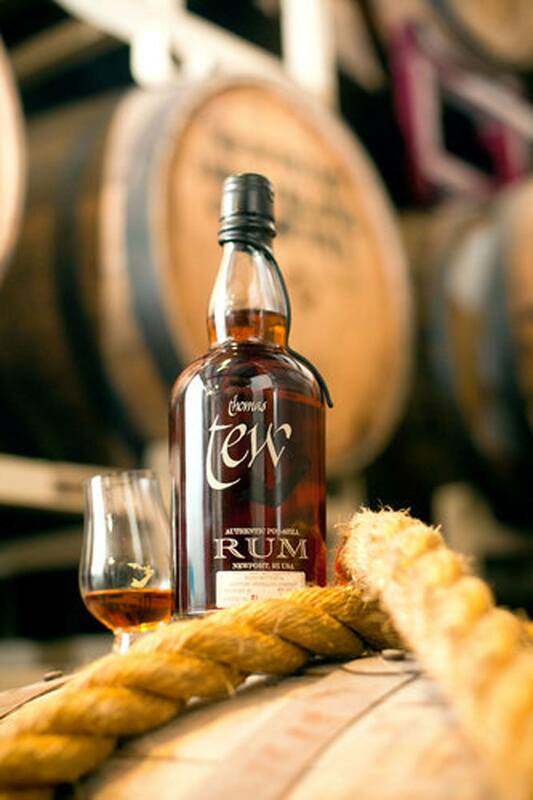 Newport Distilling uses the same methods, equipment and ingredients in its rum as the distillers of Thomas Tew’s time, to be as authentic as possible in a modern interpretation of the rum of long ago. The first batches of Thomas Tew were released in Rhode Island in 2008. 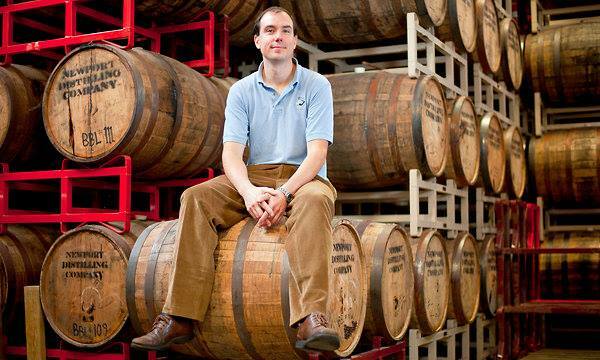 For the first 7 years of the Distillery, distribution was limited to the Ocean State, due to the long aging process. However, as of February 2013 Thomas Tew Rum can now be found across the nation. Distribution continues to expand as new markets are identified as perfect, rum-loving places where rum fans will fully appreciate the complexity and history of Mr. Tew! 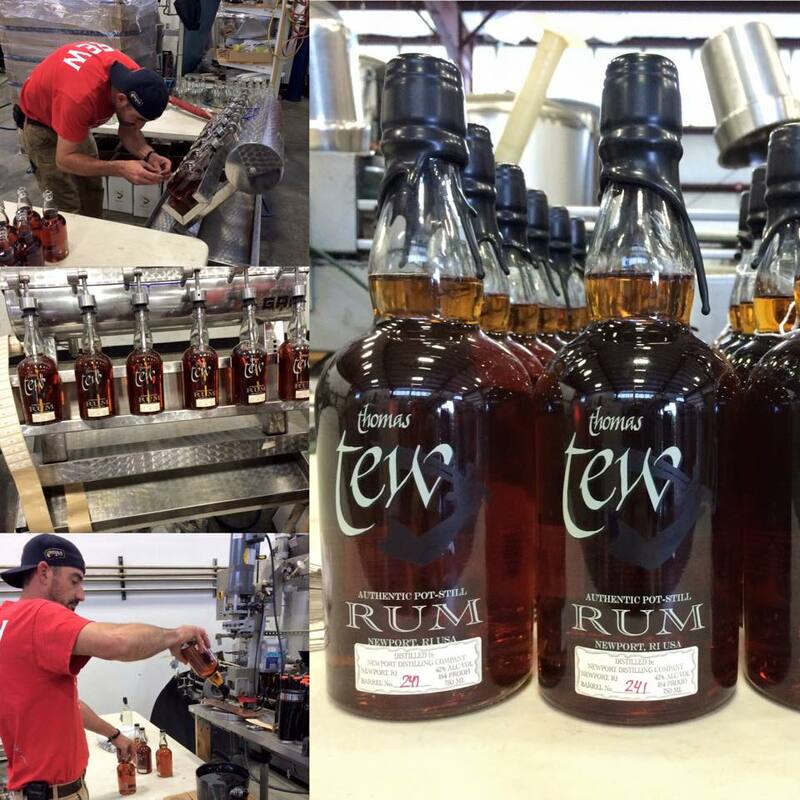 Each batch of Thomas Tew Rum is aged in a SINGLE barrel and is never blended with the spirit of another barrel. This provides the opportunity for each barrel to impart its own characteristics into each batch of Thomas Tew. This results in slight variations to the spirit, per each barrel. 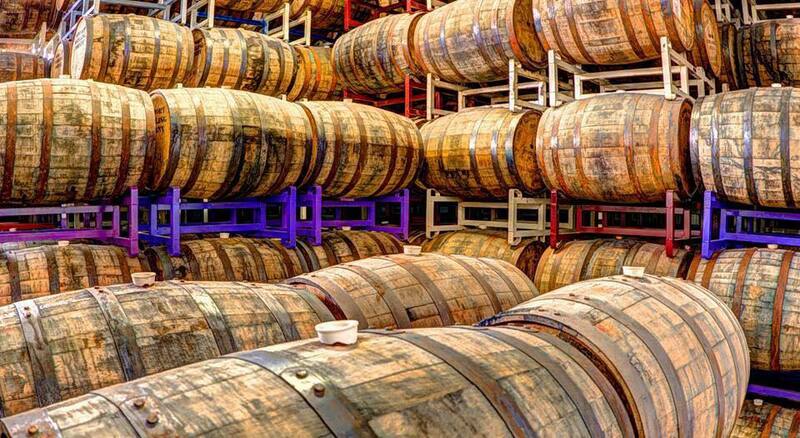 Some batches may have a stronger vanilla PROFILE, some may be smokier due to the charring on the inside of the barrel, and some could have a darker amber color than the batch right before or after. This element in the AGING PROCESS allows for unique qualities for each batch of Thomas Tew Rum distilled in our facility, and chances for rum fans to find different versions of our rum. Presented here is a glimpse into the individualized process that goes into creating each barrel of Thomas Tew SINGLE Barrel Rum. This is only part of the picture of a complex procedure to yield a unique and flavorful spirit. Our notes as distillers tend to assume a certain amount of quintessentially “Thomas Tew” characteristics, so if, for example, you don’t see mention of a trait like “brown spice” it isn’t because it isn’t there, it is because its presence didn’t strike us as particularly different than most. We are careful to mention that to most people, ~90% of the barrels we release would generally be indistinguishable from one another. In our notes, it is usually obvious the ones that we feel may be. Single barrel is about origin and whether two barrels are identical or not, that connection to an individual barrel from start to finish is important to us. We hope this information helps you feel the origin of your bottle the same way it does for us. This entry was posted in 2016 Sponsors, MCC News and tagged aged rum, fine rum, land rover event, land rover events, muddy chef challenge, newport distillery, newport rum, thomas tew, thomas tew cocktail, thomas tew lime rock park, thomas tew muddy chef challenge, thomas tew newport storm, thomas tew pirate, thomas tew rum. Bookmark the permalink.